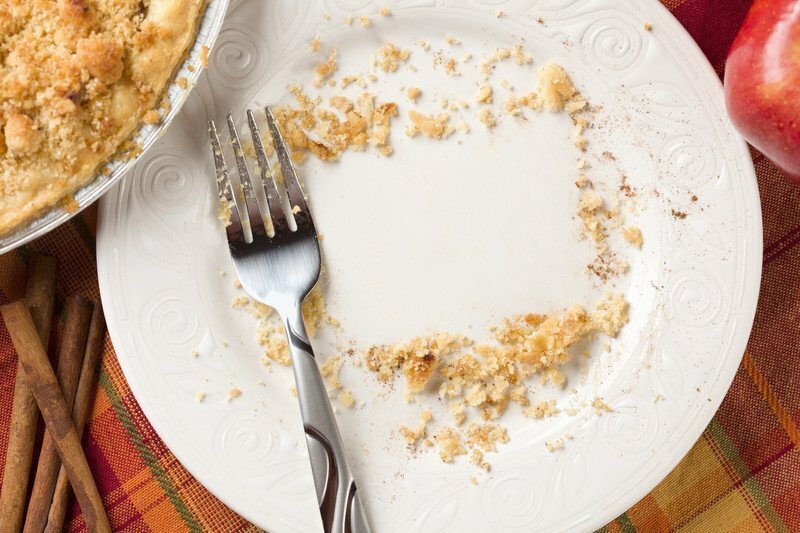 Are you a part of the ‘clean plate club’? Were you ever forced (or encouraged) to eat all that is on your plate? Or perhaps you’re on the other side of the table encouraging loved ones to always clean their plates? While often well meaning, being encouraged or encouraging others to eat all that is on their plate creates a big problem – it causes one to distrust and ignore their internal hunger cues. We are all born with an ability to eat when hungry and stop when full. Unfortunately, receiving messages from others to always finish what is served to us on a plate can muddle our ability to listen to these innate signals. The same goes for following fad diets. Restrictive diets tell us what and how much to eat and, for the most part, don’t allow us to follow our own hunger and fullness cues (or to “give in” to our cravings). Relearning hunger and fullness cues is a major component of becoming a more mindful or intuitive eater. One of my goals as a Registered Dietitian is to help clients to recognize (or re-recognize, really) their internal hunger and fullness cues, so they can eat foods that are enjoyable to them, in portions that are both satisfying and healthy. Remember, it’s okay to not eat everything on your plate. It is also okay to eat everything on your plate. Let your hunger guide you. Trust that your body knows how to nourish itself. It may take some time to learn to truly identify your hunger and fullness cues after ignoring them for some time but it sure is worth it. Looking for more information on weight loss dietitian nutrition counseling and becoming an intuitve eater? Our dietitian Calgary and online nutritionist services can’t guarantee weight loss (no one can!) but we can guarantee we will do everything we can to help you move towards your personal best weight and a sustainable lifestyle. You won’t find any weird fad diets, unnecessary food restrictions and anyone trying to sell you shakes, supplements or so-called miracle cures here. As university trained Registered Dietitians, you can count on us for credible advice and practical meal planning so you don’t have to stress about food anymore. You can achieve a healthy and joyous relationship with food and your body. Let’s talk about what this can look like for you. CONTACT US.